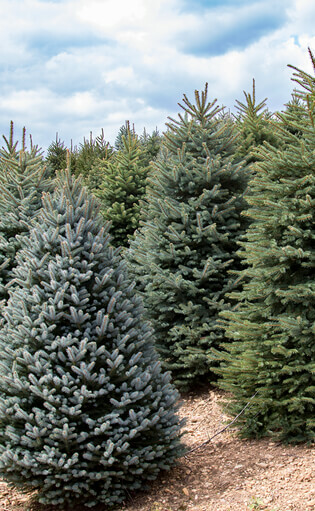 The purpose of the Ashe County Christmas Tree Association is to develop and extend interest in the production and marketing of quality Christmas trees in Ashe County, North Carolina. General membership is open to any grower or person involved in the cultivation, production, or sales of Christmas trees in Ashe County. Associate Membership is available to employees or family members of a general member. Allied Business Membership is available for businesses and organizations who wish to support the Christmas tree industry in Ashe County. Education and information through meetings, events, e-blasts, etc. Networking with growers, allied businesses, and others interested in the health and vitality of the Christmas tree industry in Ashe County. Listing on the ACCTA website or Choose & Cut guide as applicable. Featured in ACCTA marketing efforts, including social media. Membership is for one year beginning January 1 and may not be prorated. Membership applications must be completed and returned no later than MARCH 15th each year. For more details and to download a membership application, click here.